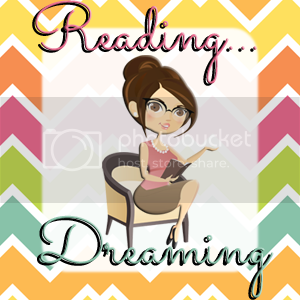 Well I finally ended reading, this great book by Deanna Lynn Sletten. She's the author of the first ebook I ever won (Widow, Virgin, Whore) and as soon as her latest novel was for free on Amazon I downloaded it. I loved the first novel and that's one of the reason I become part of the blogging world and part of the book community. Dani and Michael share a journey of heartache, loss and painful memories that threaten to keep them apart. Can they get past these and finally find love again? Where can you find the book??? Life is the amount of memories we collect through the years, and this books is the perfect example of it. This is a story about love, forgiveness, family, sorrow, grief, it will be simple to say that is a story about life, but this is not a simple story. It's one of the best stories you will ever read. This book leads us throught the path of two people destined to find themselves more than once during their lives. A story that show us how every decision we make affects us and others, and determined who we are. The book presents us to Danielle and Michael (or Miguel) in a moment of their lifes when they think they have grown up, and that the past is just a memory. But when they met again all the past resurges and we discovered what happened eighteen years ago. Then, during the course of the months we see the comes and goes of their relationship. And like everything in lifes, it doesn't come easy. A man who is a Veteran of Vietnam and a girl who helps him faces his demons, a girl that was the only woman capable of truly understanding him. Deanna has the great ability of describe characters with such deepness that you really feel you know them. You cry and laugh along them, and feel everything they face. Every dialogue, every scene is described in an excellent way! She really know how to make a girl cry. Hope you all give this book a chance. Hi guys! Today I have the pleasure to host a tour stop for Hope. This is book blast is part of the Autism awareness Month! I have to say that is a subject very close to me, because my nephew is autistic. I love him and her sister more than anything in the world, and he's been diagnosed recently, so be part of this has been amazing! Hope you all enjoy my interview and book review. As a nurse hands Christina Borysowki her newborn daughter, joy lls the new mother's heart. With wonder, she lovingly admires the baby she has named Hope. Her body tingles with excitement and fear. Hours later, Hope's eyes nally open to reveal spectacular turquoise irises. At that moment, she has no idea that months later, the sparkle and life will abandon those beautiful eyes, the gaze will turn inward, and Hope will lose all interest in the world. Years later, things cannot get any worse for Christina Borysowski and her profoundly autistic daughter. With Hope destined for a future that promises nothing but bleakness, isolation, and likely institutionalization, Christina is already well aware she is paddling alone against the strong tides of prejudice, misunderstanding, and fear. To compound matters, there is much more at stake than just Hope's well-being. Christina is barely hanging on. In a desperate quest to nd peace for both Hope and herself, Christina is left with an agonizing choice that will deter-mine the future for both of them. In this eye-opening and poignant story about autism and its tragic human cost, one woman takes an unimaginable journey through hopelessness to discover an intense love that drives her to make the unthinkable a reality. Hello Ruty, I am happy to answer your questions about my novel, Hope. 1 – Was it easy to start to write Hope? Yes and no. I knew I wanted to write about autism and I wanted the story to appeal to everyone. I started by writing down my random thoughts and feelings about autism – that was the easy part – and, finally, the story came to me. 2 – How you decided to write this story? (Besides the fact that you want to show how could be the life with an autistic child). I recalled a question my sister-in-law asked about a news story regarding autism. Her question made me realize how little people who don’t have an autistic child know about the life we lead. I had knowledge to share with the world. 3 –When did you start to write Hope? / How long took you to write Hope? I started writing Hope in 2005. I sat on my doorstep waiting for my daughter to come home from school, writing with a pen in an old college notebook. I wasn’t getting very far that way! I bought a laptop in 2006. I had very little time to write because caring for my daughter consumes most of my time. I set my alarm for 4:30 in the morning every day. I rushed through chores and skipped lunch. I finished the first draft in 2010. 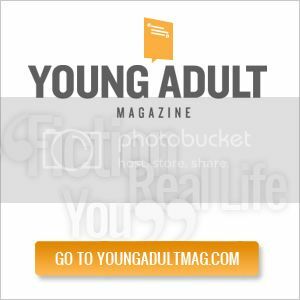 4 –How did you decide which personal experiences to write on and which ones not? I picked the experiences that stood out the most in my mind; the ones that I remembered vividly. Those incidents moved me; therefore, I believed I would write them best. I also think they show how extraordinarily difficult and sometimes dangerous it can be to raise a child with profound autism. 5 – Are you happy with the result of Hope? I don’t feel that negatively about Hope. I put my best effort into writing a good and relevant story. I hope that the result is more empathy for parents with autistic children. I feel I can work on becoming a better writer. 6 – Would you like to continue writing about autism? Funny you should ask! I am currently writing a memoir about my son, who has Asperger’s syndrome. 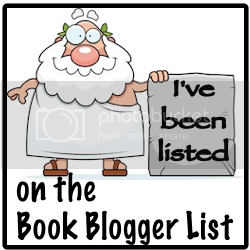 It is tentatively titled, The Book of Matthew. It was very difficult. I did not pull the story idea out of thin air. Yes, I was answering my sister-in-law’s question, but what I wrote about really happens. It happened at least six times in the United States in 2011. It has happened for the first time this year in early March in California. It is a topic that is very close to my heart. 1 – How was to find out that your daughter have autism? I felt a mixture of emotions that did not go together well. I felt relief because we had known for over a year before her diagnosis that something was wrong with her. The diagnosis gave us a direction to take to help her. I felt deep sadness. I was hoping the doctor would tell us it was something that could be fixed. Autism is a lifelong disability. I guess you could say I felt lost and found at the same time. 2 –What advices do you have to people in this situation? If we are talking about diagnosis, I’d say, as soon as your child is diagnosed, call your local school district or special needs education program. The sooner the child begins therapies and education, the better the outcome. Grab every book you can on autism. Contact your board of developmental disabilities and enroll your child in every program available as soon as possible, because some have long waiting lists. The above advice would also apply to the specific situation I wrote about in Hope. A parent educated in autism will fare better than one who is not. I would also counsel parents who are having a very hard time to reach out and tell someone, anyone, what is happening and how you are feeling. There is help out there. You have to inform people so they know you are in need. That is why I wrote Hope. It is my way of informing those who care that a mom and a child are in deep trouble. Ruty, I enjoyed your question. Thank you so much for reading Hope! Please pass it on! Victoria Ferrante is the mother of a profoundly autistic daughter and a son with Asperger’s syndrome. She has been writing poetry, plays, and stories since she was seven years old. She lives with her children, husband, and beagle in Howland, Ohio. It’s hard to judge a book that, even it’s a “fiction” novel, has some much of reality. In a subject like autism, a condition of which much still remains unknown, where answers are few but questions are endless, it’s hard to say what’s right or wrong. I found Hope to be a really interesting book. A story, that leads you through a rollercoaster of emotions. I found myself feeling sorry, understanding, dislike and some other things for Christina. This woman, who has to face the fact that her daughter is an autistic child, without knowing anything about this. This story shows us a side of parenting that many of us don’t known, or don’t want to know nothing about. Parenting is such a hard job (apart from being the most beautiful thing in the world also implies a lot of responsibilities), but being the parent of an autistic child is even harder. Hope and Christina, the main characters of this book, have opposite ways of understanding the world. A child with her own reality and a mother struggling to give her daughter the best life possible. I ended up the book, feeling really admired with the bravery of Victoria. Not just for writing the book but also for the fact that she decided to do everything she could to help her daughter. I really enjoyed this book and recommend it to everyone who likes real stories, inspiring stories. I really do hope that everyone gives this book a chance, and that somehow we all can understand a little more better this subject. Hi! I'm sure everyone knows Goodreads. I'm on a group that organize this thing called R2R (Read 2 Review), where authors gives copies of their books in exchange of reviews. I believe they're organized at least 16 signs up. I've only participated in 3, but I had the chance of reading 3 incredibles books. And this time I read one of the books ever! I really loved it! It only took me 2 days to read it, and I would probably have ended it sooner but I need to sleep. Synopsis:Trailer trash is what people in Port Regal, South Carolina call seventeen year old Savannah Jade Mason and her family. Savannah dreams of doing important, spectacular things, but it is unlikely she ever will given her spectacular ability for getting into trouble. When her mother dies, the family's circumstances sink further into the Lowcountry swamp. Adult responsibilities are thrust on Savannah overnight. She is the only one left to care for her elderly grandmother and little brother - Savannah's older sister is in jail and no good to anyone. Who can Savannah turn to? Will it be Jonah her rocker boyfriend who she has loved for years, Derek who is anxious to escape his new wife and baby or steady and dependable Luca who she sees only as a friend? The revelation of a family secret will shake her identity to its core, lead her to question all her relationships and set her on the road to self reliance. I received this book from the author as part of the R2R event. And I have to thanks Sandra for the oportunity of reading such an amazing book. Does every choice in our lifes have a consequence? Well, yes! And it doesn't have to be a bad one. Every choice we make, every word we say, everything, has an impact in our lifes and everybody around us. This story is about that. About face life and everything that comes with it. Savannah Jade, is a lovely girl. A great "woman" that has to deal with the death of her mother, be in charge of her grandmother and her little brother, and also has to deal with the past of her family. Because our lifes are not only the amount of things we do but also the things others did before us. I hate how these things are suposed to define us. Where we are born, who are parents are, what our family does and all that. When a book has the power of make you cry, laugh and feel everything the characters are feeling, you know that the author has done a great job! It's not easy to be able to really transport the reader only by words to a different place, and make them feel all those things. And I have to say that I loved the parallelism between tattoos and our lifes, with those little notes about tattooing you can say much. Tattoos are permanent, as our choices, not matter that now you have the possibility of erase it, it will never be the same. We can try to forget or not talk about our choices, but its marks will be there, we are what we and other have done, said or chose. This books not only have some great characters, the story itself, is so powerfull and real, that you really can suffer and be happy at the same time. It veracity only adds points to a great book. 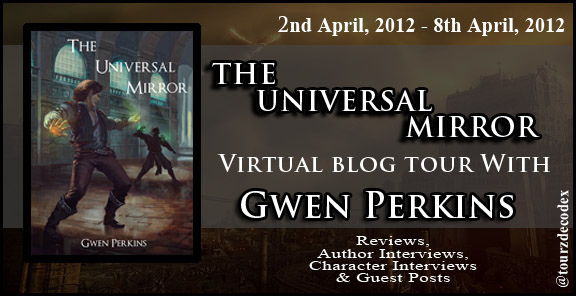 This time I had the chance to read this great book "THE UNIVERSAL MIRROR" by Gwen Perkins and also had the oportunity of interviewing Gwen. 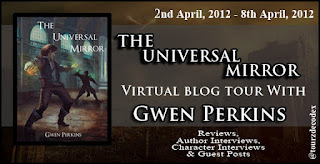 So I hope you enjoy (as much as I did) the interview and my book review! 1 - When did you decide to write The Universal Mirror? The idea actually came into my head in 2007. I wrote a chapter of it, I think… actually three and then let it sit for years. I knew that these men were searching for a way to heal but I didn't yet know their motivations or really have the world set up. At the time, however, I decided that I wasn't ready to write a novel and focused instead on other writing projects. The idea and the world started grabbing me, however, and wouldn't let go. Then just one night, the story unraveled itself in my head and I began working on it in earnest. 2 - How long did it take you to write the story? Not counting the long gestation period above, I'd say about nine months for the first draft. Ish. I learned a lot about plotting during that time. Real life was also a bit chaotic at that point, as it often is, and while I write daily, some days, it was a challenge to write 25 words. 3 - I read that The Universal Mirror was inspired by some events of the medieval and Renaissance periods. Which actual events inspired the story? A number of different events influenced me in the creation of both the novel and Cercia itself, some based in those time periods and others a little later. The real genesis of Mirror came from reading about the mirror notebooks of Leonardo daVinci and how he studied human bodies (often illegally) in order to create art, which to me is a form of magic. I was also inspired by the glassblowers of Murano, men who were not allowed to leave their island because the government was worried that they would reveal the secret of their work. And of course, many of the little details in the novel reflect my interest in history, right down to the names of some of the spices referred to by Asahel (cassia, galingale, etc). 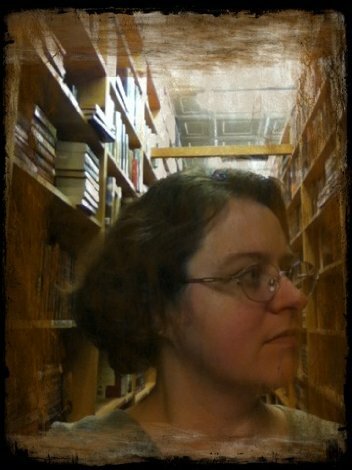 I suspect because I read about history so much and so widely that there are likely connections that even I don't consciously know about! 4 - How the world of Cercia was born? / Did you create Cercia thinking of a real place? Which one? A little bit of Cercia is based in reality, namely the Puget Sound rainforests that I grew up in. Other than that, I'd say that Cercia is more a collection of a number of places that I've thought of, visited, or read about. Its climate is completely based on the Pacific Northwest but not all of the terrain is. Other regions of the world are more specifically based on historic places—Anjdur, for instance, which is the primary setting of the sequel I'm currently writing, is based somewhat on Constantinople as it existed in 1204. 5 - Are any of the characters inspired by a real person? It's funny that you mention Quentin specifically. Yes. I absolutely disliked Quentin at certain points in the book. I felt that I was taking something of a risk in making him react towards people the way that he does but at the same time, no one is perfect. If I was in his situation, desperate to find any way to convince my wife that she was as beautiful as I believed her, I might also not always be considerate or react appropriately. Quentin tries to do what he thinks is the right thing…it's just that sometimes, it's not always for the right reasons. But haven't we all had a friend like that? I admit that I haven't gone through this kind of reaction with the other main characters (Asahel, Felix, Catharine) but there's reasons for that . I can't say too much about it, however, lest I spoil the rest of my series! 7 - If you were a magician like Asahel and Quentin, would you use your magic to help others? I like to think that I would. It's a hard choice that they make, however, especially Asahel. He risks having his own life extinguished if he's caught, after all. I'm not sure if I'm as moral as he is throughout the book or that I could make some of the tough decisions that he does—however, I'd like to be like him if it came down to it. 8 - What can we expect from the sequel: The Jealousy Glass.? The Jealousy Glass actually picks off a year after The Universal Mirror leaves off. It's being written as a standalone book but it still focuses on Asahel and Felix (characters in the first novel). These two men go to the faraway empire of Anjdur in the hope of preventing a war. This book is action-packed with everything from shipwrecks to swordfights and even a hint of romance! 1 - What's your favorite place to write? I like to write curled up on my couch. I often actually like to draft chapters longhand and polish as I type them in. I'm not sure exactly why but when I have writer's block, something about the physical movement of writing knocks it right out of me. 2 - I love museums, and because you're a museum curator, I have to ask: Which is your favourite museum in the world? Oh, that's a hard question! Because I'm a curator, I see so many of them! I'm going to say three: the Washington State History Museum, the Museum of Glass, and the Boston Museum of Fine Arts. I love the History Museum not only because of the stories that they tell but because of the way that they're told. It's a very tactile building—you can open drawers to discover artifacts, walk into dioramas like a coal mine and a petroglyph-covered cave, and hear sounds all around you in the different exhibits. I'm actually quite a bad museum-goer in some respects because I like to touch things and hear things rather than simply spend hours gazing at a painting. J The History Museum satisfies that need in me. I love the Museum of Glass mostly for their hot shop. I could sit for hours (and have) just watching their artists blow glass in front of me. I actually prefer seeing the team of year-round artists work to the visiting ones, I admit, because it fascinates me how many projects they'll work on and how many different styles. So far as why I love the Boston Museum of Fine Arts, it’s mainly for the wide variety of art and objects in their collection. They're very well-displayed and there's a lot to see. 3 - I'm a fan of the Renaissance period, Leonardo Da Vinci, is my favourite artist. Who is your favourite artist of that period? As you probably noted from above, I love Leonardo and his art was a major inspiration for this book. I definitely also went through a period where I was fascinated by Bosch. I don't know that I'd say I like the art exactly but it's fascinating. A lot of the Baroque painters who followed also draw me in with their use of some of the techniques from this time (Caravaggio and Gentileschi, to name a couple). "How do you know if you're doing the right thing?" That would be the question that Ashael has to deal through the story. Helping is friend, Quentin, in the quest of a higher power, and breaking the laws all along, he found himself between what's right and what's wrong, not always knowing wich one is what. 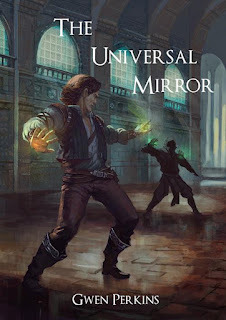 In the Island of Cercia the magicians live according to some rules that not always seem fair. And that fact leads this two men to take some dangerous choices. All the characters in the book (wich are a few) play an importan part in how the story develops. And every actions has its consecuences. And every choice is a good representation of our human nature and we think is right. The first thing that got my attention was the cover of the book. That idea of a man fighting a dark shadow (or at least that's how it looks to me). However at the end of the book I gave the cover another meaning, but I don't want to ruin nothing for you. I can't wait for the sequel of this book. I hope you enjoyed this blog stop. I know I had fun and it was a great experience. Hi guys, it's been a while since my last review. I've been busy with classes and during this week I have my niece at home. She's 4, so I barely have time for myself. But I finished this book and have to say it's great! I love to read a different genre now and then. And this police-mystery book was amazing! Twenty years ago, thirteen year old JT Trainer was about to be killed by loan sharks for the life insurance money which would pay off his father’s gambling debts. JT’s only friend, sixteen year old Hannah McGuire, discovered the plan and managed to get JT on a bus out of town before luring the killers in the opposite direction. His face pressed against the bus window, JT’s last fleeting glimpse of Hannah was of her racing off into the night with the gambler’s enforcers hot on her trail. Now, twenty years later, San Diego Homicide Detective, JT Trainer, is still searching for his vanished friend even as he investigates his latest case, the drive-by shotgun murder of an eleven year old child. What JT has no way of knowing is that his hunt for the little girl’s killers will become bizarrely entangled with his twenty year search for his long lost friend. "Don't judge a book for its cover." Never better told! This book is an amazing police-mistery-friendship-human story. Since the start of it, I was dragged into the story of this man, who escape from death with the help of his friend: Hanna. Twenty years later, he's an homicide detective and is still looking for her lost friend. Between a current investigation, we travel back and forward through his life. The characters are so well described that you can imagine everyone of them as real people. Not only the dialogues are simple and real, but the whole story feels natural, real, like it can happen any time. After read one or two police novels, sometimes it's hard to get surprised. But not with this book. This one doesn't try to give magic explanation or incredible solutions, you don't have to wait more than a few pages for the action. Since the first page until the last, you can't stop waiting for more. I loved the book because while you read it, you can picture it as a movie. One of those great police movies, with a main male character strong and charismatic. with a lot of persecution and a great finale. BTW! I'm thinking that this weekend I'll re-design my blog! So stay tunned for a new blog design.